I suppose Holcroft Adams is the most famous man I have known. I imagine you have never heard of him. His star shone bright and fast, as they say. His poetry has been long out of print, is all but forgotten, but for a year or so in the early forties his was the name on every book-lovers lips. His three books (The Awakening, Puck’s Pontoon, and An Alphabet of Flying Whimsy) came out in quick succession and each was seen by the critics as a masterpiece. So why did he fall from sight so quickly? It is a tragic story. Although Holcroft, due to a brush with what was then called consumption, avoided service in the war, his brother was not so lucky. Doubly so; as not only did Clarence fight for his country he also died for it. What is left of him lies in an untended graveyard somewhere in North Africa. His brother’s death broke Holcroft. He never wrote another word. Then, seemingly from nowhere, a rumour started circulating that the reason that Holcroft was not producing new work was that he was not the writer but a front for his less glamorous, departed brother. Rumours grow more spiteful as they bustle along. Soon, it was being said Holcroft had faked his illness. That he was a drunk, a homosexual, a fake. God it all seems so petty now doesn’t it? A homosexual. What on earth did that matter? Anyone who tells you that “things were better in the old days” is a bloody fool or a bloody liar. “Who breaks a butterfly upon a wheel?” Who doesn’t might be a more pertinent question. We are a wicked people en-masse are we not? Have you ever watched a man drink himself to death? It takes so much longer than you imagine. Holcroft died, in my arms, on the fourteenth of August, nineteen eighty four. He was the sweetest man I ever knew. I miss him terribly. I’ve had my eye on your cat for quite some time. You may not realise but I am a cat psychology expert. I know exactly what your cat is thinking at any given moment. I know what it is thinking when it sits on that crumbled bit of brick wall at the back of your garden. I know what it is thinking when it idly watches you hanging out your washing on the line at 3:15pm. I also know exactly how it would react to my approach. I have seen the tip of its tail twitch when a person passes by your front gate. It really likes human attention. It is a very friendly cat, perhaps a little too comfortable with strangers. You ought to be wary of that. Your cat likes to be outdoors in the spring sunshine. Who doesn’t? Well you don’t seem to be a big fan. You have been sat inside on your computer games ever since the nice weather began in May. You should take more interest in your cat. And your garden. The dead leaves have not been swept away in a long time. Well now I have your cat. I have fully understood his psychology and, over a course of three slow days, gained his trust. During this time I have found the purrrrfect tone of voice with which to speak to him. He sees me and knows that I am his destiny. He can see my feline soul and I can see his. Here he comes, across your garden, over the back fence and across the field to where I stand, drawn here by our shared purpose. He has left you. He will join me. He will worship me! Oh, and I have smeared catnip all over my shins as well, which helps. I was drunk. Too much beer in the fridge, too much time alone. It must have been three o’clock. I stumbled through the flat. Too drunk. Talking to inanimate objects. Too lonely. “No one comes to visit me,” I spat at the intercom in the hall, lurching in its direction like a drunk trying to pick a fight. 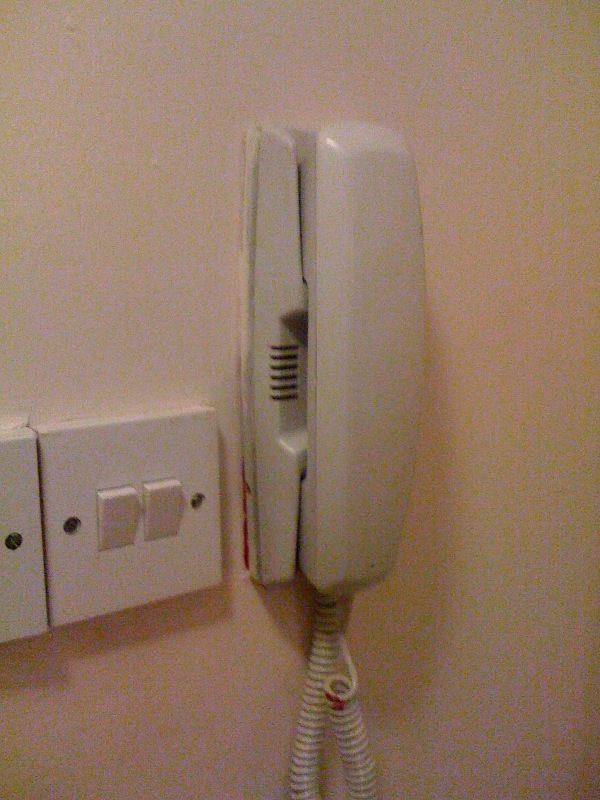 I snatched the handset off the wall and, as if to prove my point to absolutely no one, jabbed the receiver to my ear. A dark void outside the building’s front door. No voices. No footsteps. No wind. Just the oppressive silence. And then sobbing. A painful, inconsolable sobbing. I swore, dropping the phone. It swung on its wire and clattered against the wall. I stayed silent. Embarrassed. As if I’d been caught staring into someone’s bedroom. Leaning across the hallway, I peered through the window which overlooked the front of the house. I couldn’t see anyone through the black; the security light hadn’t come on. There were two apartments on the third floor, including my own. 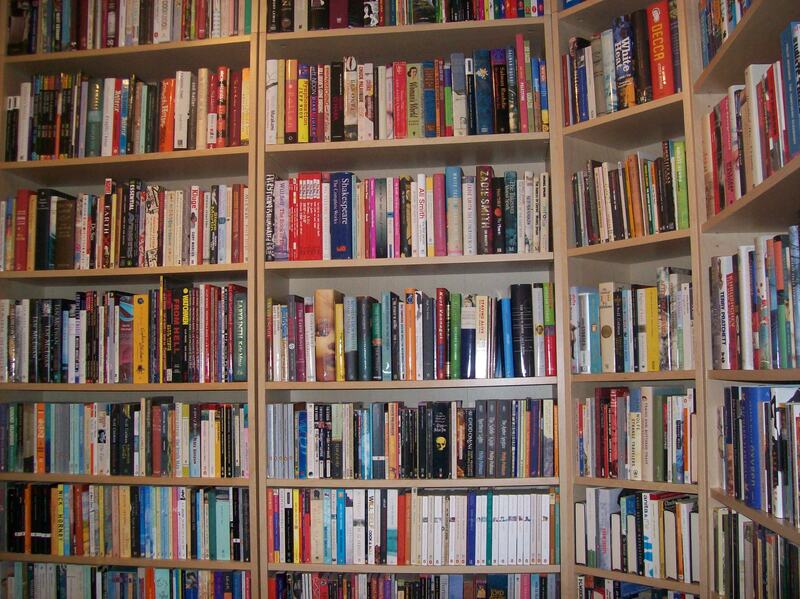 At times, I heard someone living through the paper-thin walls, although they had never introduced themselves. Maybe they thought the flat was still empty. No one had lived here for months. I had never thought to ask why. The price was too good for questions. I pressed the button on the intercom; a neighbourly act of kindness. Three floors down, the building’s entrance creaked open. Next door, my neighbour coughed in her sleep. Heavy feet staggered up the threadbare stairs. First. Second. Third floor. The shuffling stopped outside my door. Silence. That damn silence. I put my eye up against the peep-hole. And then I started sobbing. A painful, inconsolable sobbing. “Can you let me in please?” rasped the voice from behind the door. 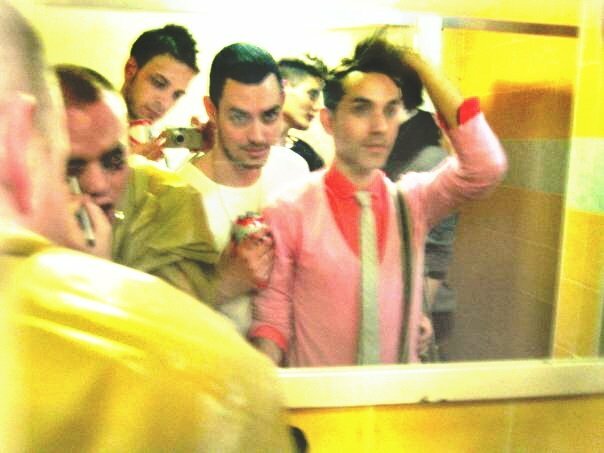 A hundred nights out and a hundred different dirty mirrors and us lined up there as usual. Ties adjusted, fringes and make up attended to. Paper towels applied to our slick wet necks and foreheads. Eyelids pulled down and the bloodshot sclera inspected with sighs of resignation. But secretly knowing, secretly, how good we all look. Photograph, photograph. Toilets offer us temporary respite from music that’s loud enough to drown in, if you feel like drowning. Only the bass can push its way through the stubborn door and the blissfully cool tiles and the dirty glass and into your sternum, into the little fluctuating chambers of your heart. Here we speak in our real voices instead of gesturing with our faces or hands or our dancing to tell each other: I love this song, I love that guy, I love you, I love the nightlife. Lean into the mirror, kohl tip turning into greasepaint in the heat of your fingers. Always the insides of your eyelashes, my sister says, otherwise you’ll look like a raccoon. And stop blinking. Eyeliner, lager froth in your tache, a demented combination perfected. Ruined shoes and vintage T shirts shrunk and wrinkled with sweat and little point trying to dry off as the tiny glass beads congregate on your temples even in the chilled moon-like atmosphere of the bathroom. I am he as you are he as you are me and we are all together, runs through my mind. A familiar bassline pushes its warm fuzzy arms into the loos’ cool air, beckoning us back to its frenetic embrace. Then comes the rush and the moment and the feeling.